When you first get your irrigation business going on social media there are a few things you should and shouldn’t do. 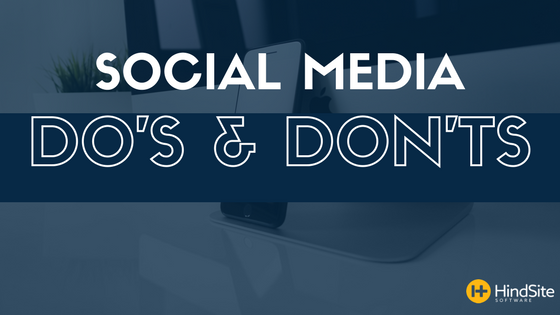 From not getting political to offering a discount every now and then, here are the social media do’s and don’ts for your business. Social media has become a popular tool for everyone to use, from consumers to businesses. Many consumers can now be seen on businesses walls posting the good, the bad, and everything in between. You must check your social media sites regularly to ensure you are responding in an appropriate manner and time frame. If you check only every couple months, and a customer writes on your wall complaining, that leaves a lot of time for others to see what customers think of your business and how you respond to issues and concerns. Your audience probably doesn’t want to hear about your personal left. They also probably don’t want to hear your political or religious views. Customers are buying from you based on the work you do and the respect you give them. When personal topics come into play, things can get messy and cause some strong willed customers to drop you. Keep the personal information to your own page, and leave your business page to... business. Social media sites are a great place to offer your customers something. Whether it’s a 25% discount on blowouts or offering a buy one service, get another free deal, your customers will be more inclined to act. Whether you’re retweeting something or sharing an article it’s important that the topic is relevant to your audience. It should be something that would catch their eye. There are not many things more annoying than multiple posts from a person in one day. Getting the information out there is important, but posting to the point of taking up most of a news feed is overkill. If you overwhelm your customers and potential customers with data, they will soon learn to phase it out. I have experienced this a few times on a couple different social media outlets. When a company posts too many times in a day, I begin to just scroll past whatever they have to say and move on to the next person. While you don’t want to talk about your political views, you should post things that will make you relatable to your customers. Talking about the weather, a current news story, or just sharing what your crews are up to are great ways to make your company more personable.